Cyanotec was formed in 2002 to provide a service to industry and distributors where customers required a more flexible supply of adhesive products. Bringing quality, flexibility and reliability to both large and small businesses. 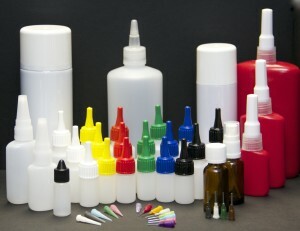 We are able to supply from a single bottle to whatever you, the customer requires. We offer a next day service to over 95% of our customers by working closely with a partner who provides a nationwide delivery on our behalf. All of our products are manufactured to the highest standards and are at the leading edge of current technology. Where current products are not appropriate, we have the ability to adapt products or develop new ones. As a distributor of adhesives, we work with many premier adhesive manufacturers across Europe. Our own product ranges cover a wide spectrum of markets. Both the cyanoacrylate and engineering ranges have infinite applications in all manufacturing sectors. is also the home of Mitre Mate the original wood bonding kit. We are the UK distributor for Bison adhesives, one of Europe’s foremost suppliers of both industrial and consumer adhesives. We are located in the heart of the country close to all major links. We can be easily found by satellite navigation or by map.